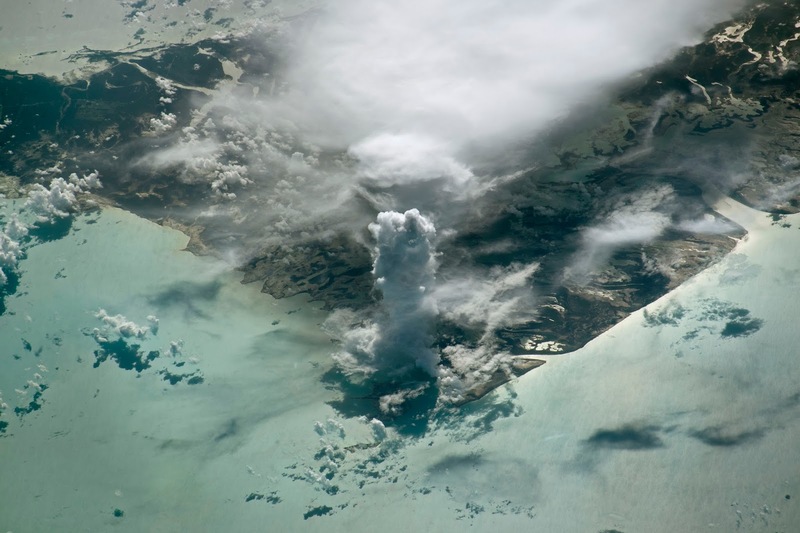 Today we would like to provide our viewers a photograph shot by an ISS astronaut of a massive cloud tower. This massive vertical cloud formation, known specifically as cumulus castellanus, was seen above Andros Island. These types of clouds typically form due to strong vertical air movement normally associated with thunderstorms.